Manual data entry presents its own unique set of challenges for professional services organizations, when it comes to the quality of output, speed, accuracy and a multitude of other factors. Is your firm experiencing any of the pain points described below? 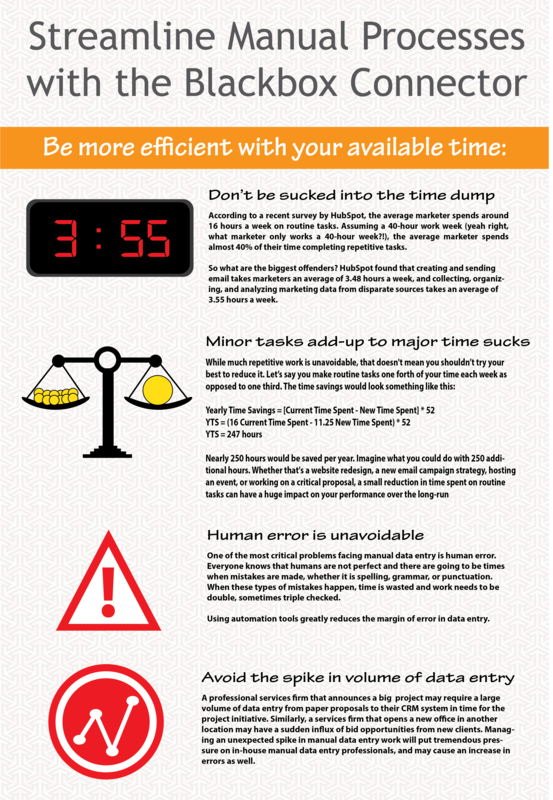 Ready to Stop Wasting Your Time with Manual Processes? Is your professional services firm ready to overcome the pitfalls of time intensive manual processes? See how the Blackbox Connector for Deltek Vision can help you free up time to work on business critical tasks.